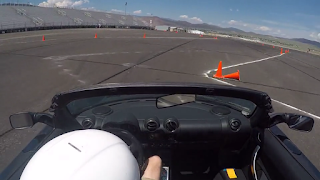 Nathan Gabriel has been racing his Roadster at the Reno Sports Car Club Of America for few months in the Solo/Autocross championship, a timed competition accessible to everyone yet it is also one of the most difficult racing series to master. Two months ago he managed to get in 27th place in raw ranking against a winning Porsche GT3. His aim was to get his car in the top 15 in the Reno region. 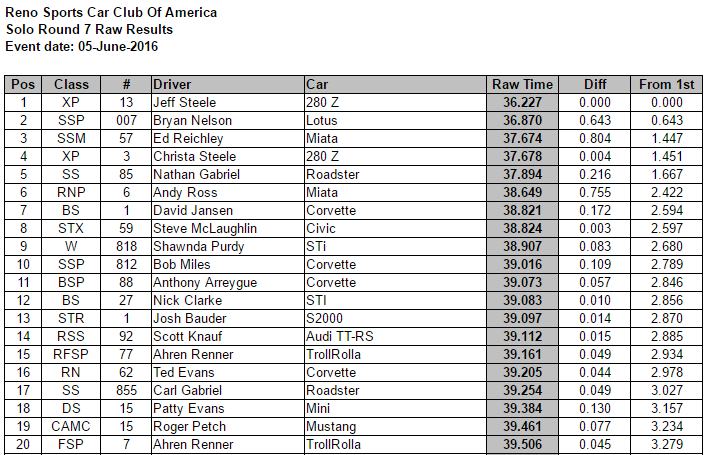 Two days ago, Nathan managed to get the Roadster in a comfortable 5th position in overall ranking, just 1.667 seconds behind the fastest Nissan 280Z and was able to compete with a Lotus Elise and a Mazda MX-5 Miata. Not too shabby for an 8 year old electric sports car. Reno SCCA hosts a full season-long Solo championship, and holds most of its events on a tarmac at Stead Airport. The event consists of individual timed runs through a course made of traffic cones. 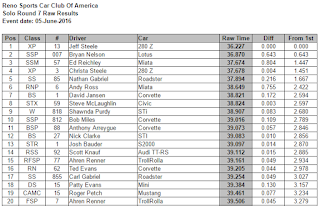 The fastest time wins, and cars are grouped into classes based on capability. Nathan has roughly 8 years of AutoX experience. He started racing in a Mazda 3 then moved on to an old STS Miata as a dedicated race car - with reasonable success. AutoX then decided to start racing with the Roadster late last year by buying a set of RE-71R tires, brake pads, and fiddling with the adjustable suspension during every race. "It's a night and day difference from where the car was stock" Nathan said. Unfortunately the car can do roughly 1.5 laps before its power is reduced due to the cooling shortcomings in these models. Nathan hopes "that as more people drive their EVs on track, that'll encourage the manufacturer to invest more into the cooling systems" adding "Lessons learned from the Model X and future Tesla models will hopefully trickle down to their other vehicles". This Roadster has a torque of 273 ft-lbs. AutoX is planning to campaign the car for a full season in the Super Street class.